Capture hearts with whimsical animal illustrations! You only need ONE colour in ink to create your very own animal masterpiece. 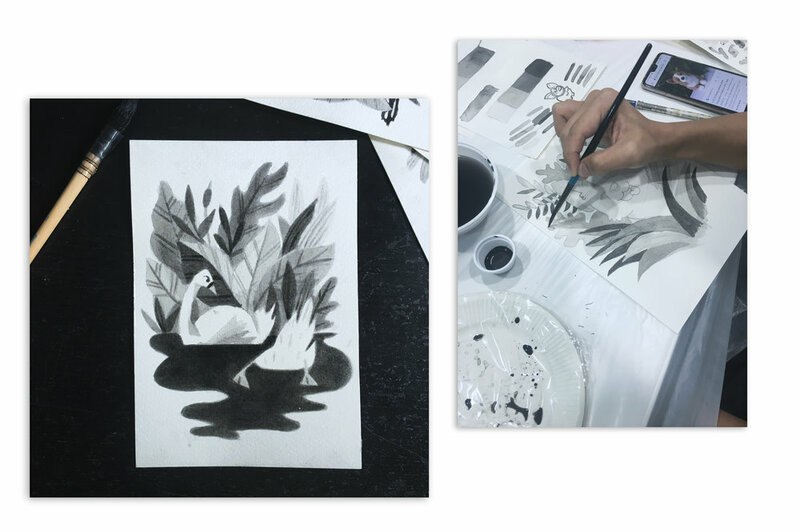 Starting with the concept of negative painting, you'll get to explore the use of contrast and tonal values TO bring your illustrations to life. At the end of the workshop, you'll have an A5 masterpiece , all ready for display. Do you have any questions of this workshop? Thank you for your participation! You will be contacted shortly for payment.